About the Studio — Tapeworks Inc. If you take a drive down Maple Ave in Hartford, Connecticut you will see a very different view of the street than what was seen back in 1926 (pictured right). 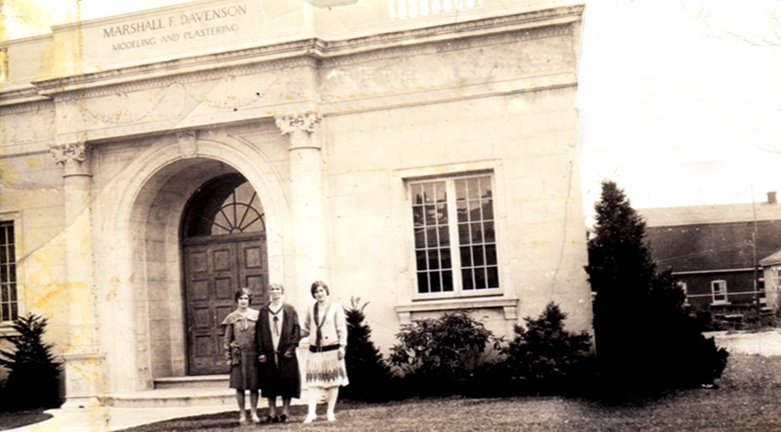 One thing that hasn't changed is the unique historical architecture of 770 Maple Ave, Hartford, CT that has been occupied by Tapeworks Inc for over 30 years. There is a reason we have been around this long. So if you have never heard of us, or somehow missed us, take another look. If you are local come on by, look for the arch. Tapeworks Inc. has been in business for well over 30 years. Tapeworks started by servicing the needs of Hartford Connecticut's music and advertising community. We have since branched out and now offer audio services for companies all over the globe. We are a diverse group of producers with unique skills that compliment each other. Our experience in meeting the audio demands of our clients spans a wide range of recording applications. We've provided voice overcasting, sound design, and original music, along with our expertise in "theater of the mind," to bring radio to life. We've enhanced video post production and gaming by marrying the perfect blend of sound design with appropriate music to create a visual mood. We bring quality, professionalism, and efficiency to every project. Challenge us with your next assignment and find out why we are a one stop shop for all your audio and sound design needs. William Ahearn a.k.a. Bill is an audio engineer, producer, musician, voice artist, technical consultant, and educator, who has been supplying creative, problem-solving audio services for 30+ years. His original compositions can be heard on TV networks and in global commercials. Bill's collaborative approach to working with clients has earned him multiple prestigious awards for radio production, including Silver Microphones, Lamplighters, and Ad Club Pencils. In addition, he has earned various video production awards for his unique electronic music programming and sound design. In 2018, his composition for the series “You Are Cordially Invited” earned him an Emmy nomination. When he isn’t banging on drum pads, or tweaking knobs, he spends his time volunteering for the blind, maintaining hiking trails for Connecticut Parks and Forests, and teaching/mentoring for universities and educational institutions. He is currently operations manager and Chief Engineer for Tapeworks Inc.
Tapeworks was built to be a recording studio. 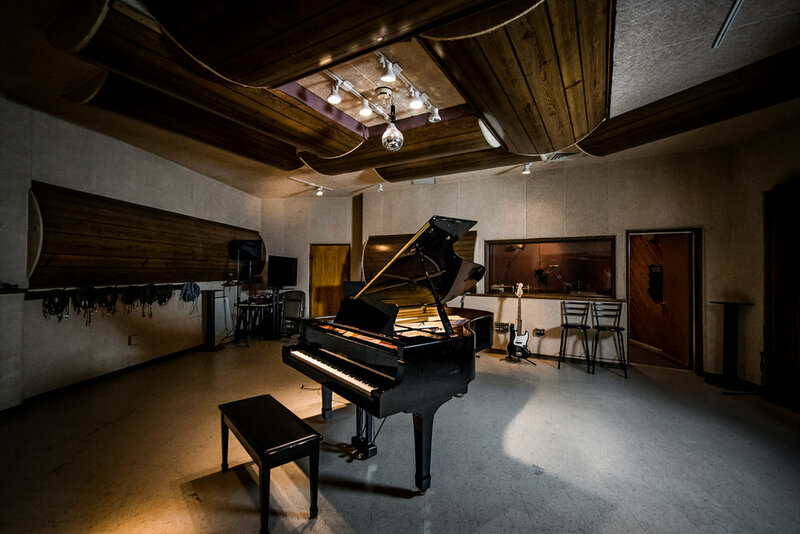 Our tracking room was designed with the performer in mind and you will be hard pressed to find anything like it in the surrounding area. We can facilitate a full big band with perfect sight lines, or the quietest intimate voice recording in our large tracking room. Our control room is equipped with state of the art connectivity allowing for perfect cross globe remote synchronization, or the perfect in studio headphone mix. to provide customized quality service. The purchase of our Yamaha C6 Concert Grand Piano has been a gem for both our clients and us. It has set us apart from other recording studios in Connecticut by offering one of the best recording instruments available. Professional musicians from all over are raving about this beautiful instrument. It has been so regularly talked about that it has earned its nickname as "That Piano." We've recently installed the Earthworks “PianoMic,” sophisticated microphone system that offers superior fidelity with the piano lid open or shut. A real advantage in any live recording context. What type of remote connectivity does Tapeworks have. Currently the studio is equipped with ISDN, Source Connect, Skype and Phone Patch, we also offer bridging services. This is an ever evolving list. If you have specific needs please contact us. How do I book time at Tapeworks? Easy! Give us a call, we answer our phones! 860-522-5997 or for after hours 203-233-3631. If we happen to be in a session or can't get to your call please leave a message and we will get back to you. Or email Bill@tapeworksinc.com. You can also fill out our "get info" form. We are WAY over connected so don't be surprised at how quickly we respond. How much lead time do I need to book the studio? It really depends on our schedule at the time. Most bookings can happen in the same week, and sometimes the next day. Give us a call.